Readers may recall my exhortation to the warring factions within our SLPP (Torkpoi) family, to put an end to the internecine warfare and get on with the task of reminding a thoroughly disenchanted public, about the failures of the ‘Red Sun’ party. I have received many nods of approval and a few affectionate pats on my back. 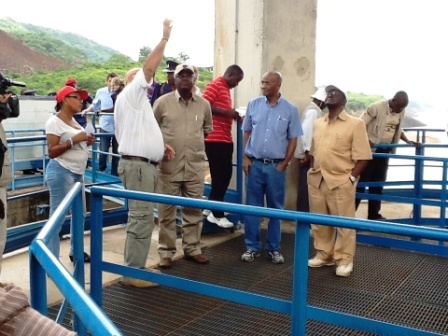 However, a few readers, while still congratulating me – especially for my reference to the party in power, wondered why I have made no mention of the malfunctioning National Power Authority’s hydro-electricity plant at Bumbuna. That indeed has continued to be my reaction to any question about the NPA – or of Bumbuna, at least until now. Of course NPA has been in the news recently, but once again for all the wrong reasons. And the wonder is that our people up there on the hill – parliament, make no reference to it. Let me take readers back to an article in an online publication about the mad rush to commission Bumbuna back in 2008. The article which was reproduced in one or two honest tabloids, was written by an expert who did not disclose his identity, but who made it clear that he was familiar with work to generate hydro power in many countries. He pointed out that there were some defects in the Bumbuna structure, which unless corrected, would be a source of trouble and embarrassment in the near future. 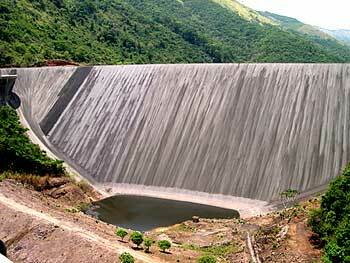 He said that the Bumbuna Dam – as it was, could be commissioned, but that there would be trouble. But no one listened, and for two reasons; namely: there was a feeling that the warning was coming from an anonymous member of the opposition (‘Torkpoi’) as author of the report. Secondly and perhaps more importantly, the president (De Pa) had made it a major campaign pledge to provide electricity for the continent’s darkest city, within a specified deadline, and the race was to meet that deadline. The expert’s professional and wise advice was pushed aside. The, Income Electrix – a Nigerian company, appeared on the scene. But it had too many small and inconvenient stories connected with it and was soon abandoned, but not before we had a few scapegoats. And so ‘De Pa’ and his men pressed on with Bumbuna; a cabinet session was even held on site to prove to the world that this young man was a ‘No – Nonsense’ president who meant business – after declaring that will run the country like a business. Earlier on, the other Pa of blessed memory – Pa Kabbah, had negotiated with the government of Morocco for a standby solution that could ease the city’s persistent blackout. A team of Moroccan experts arrived, and after assessing the situation they began work on the distribution network. And in the process, the Moroccans were able to provide street lights. But then this was seen as coming from a President, who did not have the support of many in the media. 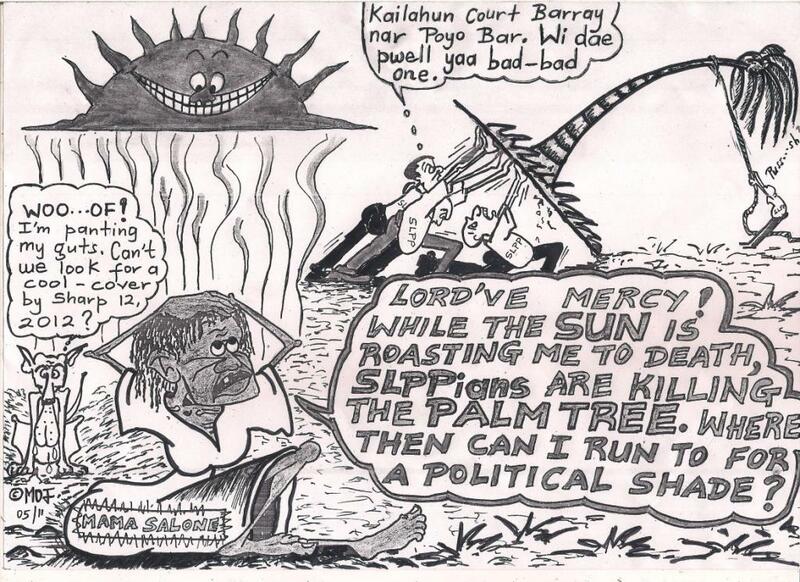 It was heard every Saturday morning on the SLBS “Front Page programme”, as well as published by two tabloids – questioning whether it was an election gimmick by the SLPP leader. 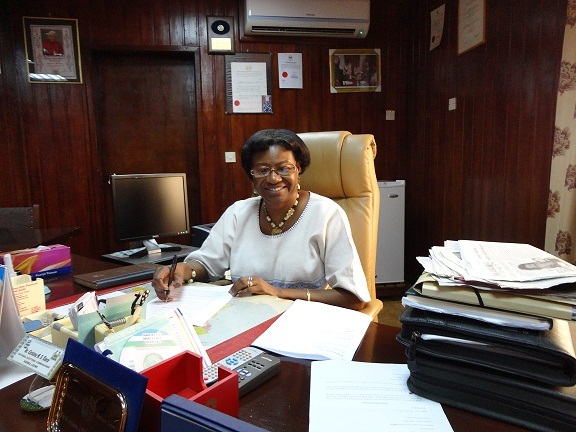 The 2007 Presidential and Parliamentary elections came and went, and everything went according to the plan of the Chief Electoral Commissioner – Christiana Thorpe – aided and abetted by the UN’s Victor Angelo and his regime change colleagues. Without fear of repetition, Bumbuna was commissioned amidst great fanfare. And just to make sure that somebody takes the rap, there have been two recent changes of ministers of energy, with no replacement after Robin-Coker was shown the red card. Now, need I go any further on Bumbuna, except perhaps for an epilogue? Which Bumbuna – the current non-functioning hydro power station? Why would anyone wish to flog a dead horse – I mused. As for the people of Bo, they were promised additional electricity from Dodo which should have brought the total to 6 Megawatts. I then asked the minister of information who made the disclosure, what had happened to the 6 Megawatts that was commissioned by the former government. There was no answer. The people of Bo have been without electricity for over six months. 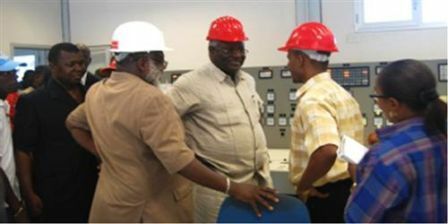 There were stories that the De Pa had promised to provide a 15 Megawatts generator. But the people of Bo are still waiting. Is the delay in providing the generator due to a breakdown of the low loader truck conveying it to Bo?